It’s quite possible that Austin Raye has never seen an obstacle he doesn’t want to take on. Where others might show fear and hesitation, Austin looks for a way to overcome just about anything he can, which not only serves him well in tumbling and parkour, but in his everyday life. He’s proven that willingness to take on a challenge by overcoming two knee surgeries and returning stronger than ever. 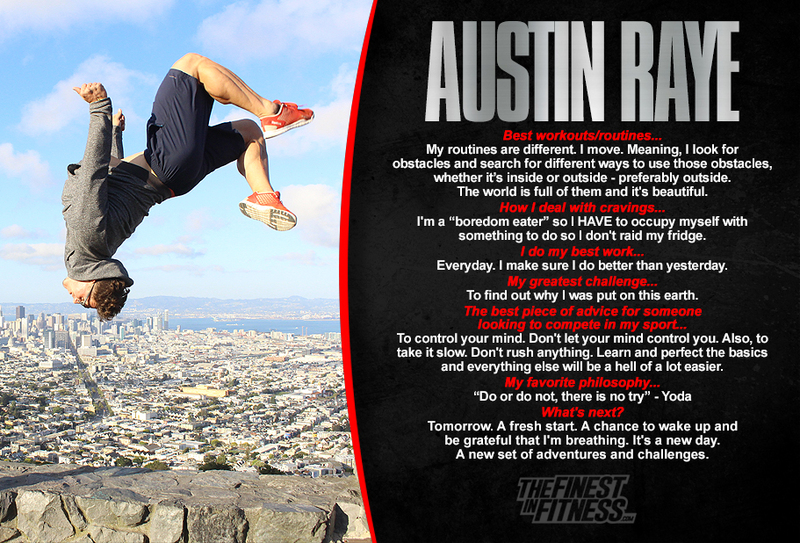 Austin sets the standard for living up to his philosophies and is a true inspiration to those around him.